Dr. Becker received a Bachelor of Applied Science at the University of Waterloo, and a PhD. In Geotechnical Engineering at the University of Western Ontario. He has developed his career at Golder Associates where he is currently a Principal of the company, and Chief Geotechnical Engineer at the Calgary office. Dr. Becker has wide experience in a number of the prime areas of geotechnical engineering, associated with large scale resource development projects in both the civil and mining fields. In his early career he concentrated his energies in the design and construction of artic offshore hydraulic sand fills, and spray-ice islands. These unique structures required special research and interpretation of in-situ tests to determine the behaviour of Beaufort Sea clays and sands. This was complemented with work on the study of soft clay consolidation, including sand wicks and drains. This work extended into the area of the behaviour of mine tailings under seismic loading. This perhaps led Dr. Becker’s pioneering work on design codes related to limit states design methods and to his reputation for innovative solutions. This was demonstrated by receipt of the G.G. Meyeroff Award by the Canadian Geotechnical society for later work on the difficult foundations of the Confederation Bridge. This remarkable bridge has very exposed piers loaded not only by the bridge itself but also by the wind, wave and rather severe ice floes. Dr. Becker’s engineering skills have been called upon for a variety of major northern projects including pipelines, riverbank and lake shoreline stability problem and erosion, railways, major buildings both in new construction and those in a distressed condition due to foundation problems. Another unique area for this multi-faceted engineer is the design for decommissioning and safe containment of low-level radioactive wastes at various sites throughout Canada. It is both an education and an inspiration to browse through the list of topics where Dr. Becker has summarized this thinking, observations and designs, in the areas of geotechnical engineering in which he has taken an interest. Finally Dr. Becker has made notable contributions to the Canadian Geotechnical Society and thereby to the EIC. 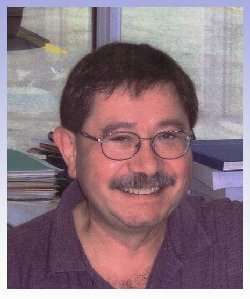 He has been Associate Editor, then Editor of the CGS Journal for 14 years, a Cross-Canada Lecturer, and a major contributor to the improvement of engineering codes. All this as one of Canada’s busiest and talented engineers. Little wonder Ladies and Gentlemen that the EIC wishes to honour Dr. Becker with the CPR Medal.